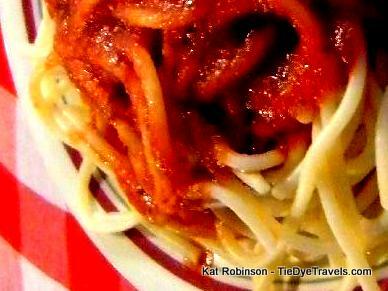 Italian Spaghetti Dinners - An Arkansas Tradition. 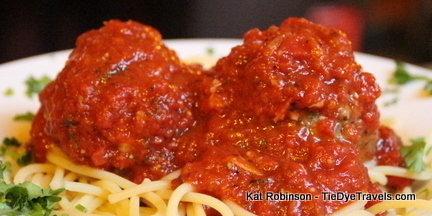 Pasta with tomato sauce is an Italian creation celebrated Arkansas-style. 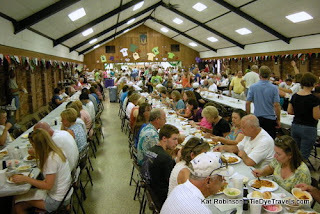 Several times a year, different Catholic parishes around the state sit down to dinner for fantastic spaghetti dinners. 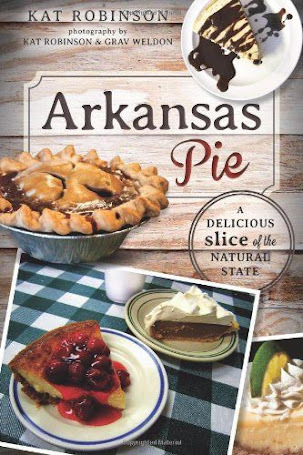 Here's a rundown of the most famous of these Arkansas culinary celebrations. The tradition of spaghetti dinners goes back to the immigrants that brought spaghetti with them, Italian natives that came from an area around Rome in the last decade of the 19th century, became American citizens and relocated to Arkansas. Many of these came as part of the relocation funded by New York businessman Austin Corbin, to the Sunnyside Plantation near current-day Lake Village. These Italians arrived in the area between 1895 and 1897 and attempted to make a home for themselves in the muddy, humid Mississippi River alluvial plan. 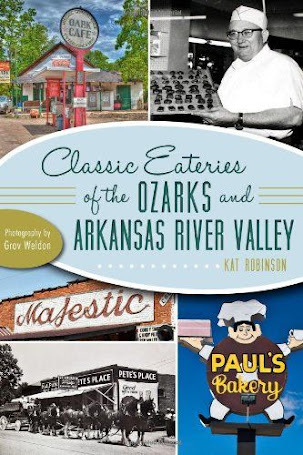 Many of them stayed in the area, while others traveled with Father Pietro Bandini to a new settlement in 1898 that became the community of Tontitown in northwest Arkansas. 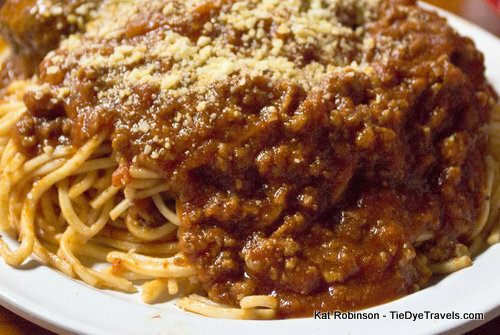 These days, spaghetti suppers are celebrated by five of the state’s venerated Catholic churches. 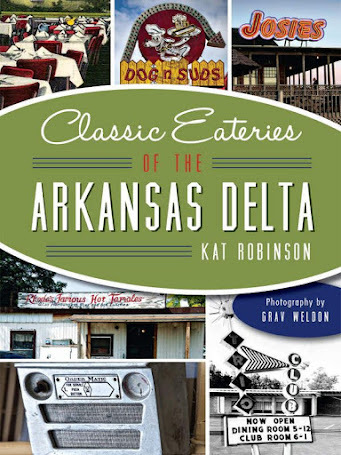 The most famous of these is the Italian (here pronounced eye-tal-eeon) Dinner hosted over several nights at the Tontitown Grape Festival each August, at which the spaghetti is served with Delta-style fried chicken (learn more about fried chicken in Arkansas here). This year's festival is scheduled for August 9th-13th. Check out this post to see what it's like. 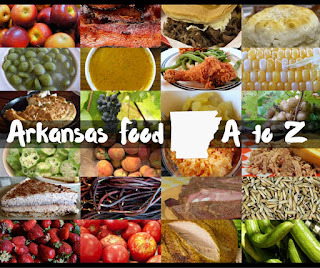 The largest is the dinner each October at St. Joseph’s in Pine Bluff, where coleslaw is the main distinction and where almost 700 gallons of sauce will be used. 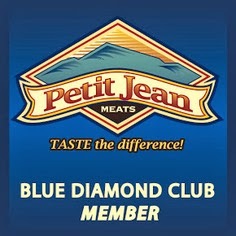 There’s another that happens each October in the Pulaski County community of Little Italy. In March, two distinct congregations host dinners that mark among the oldest annual culinary events in our state. The annual Our Lady of the Lake Spaghetti Dinner is usually held the first Sunday in March at St. Joseph Catholic Church in Lake Village. Don’t be fooled by the name – this dinner is held at lunchtime, with take-out orders available between eight and eleven in the morning and the meal itself served between 11 a.m. and 1:30 p.m. Every noodle, every salad, every sauce and every sausage served at the annual dinner is homemade. The Our Lady of the Lake luncheon originally started in 1909, and its major distinction is how it’s served. Instead of the expected plastic tablecloths and paper plates you might expect, this one is served on real dinnerware, at tables just like in someone’s home. However, few people would expect to eat 1800 plates of spaghetti in anyone’s home! Some 3600 meatballs will be produced for the event. On the third Saturday of March, St. Joseph’s Catholic Church in Center Ridge hosts a similar dinner. St. Joseph is a pretty popular saint! This dinner runs in the mid-afternoon. The Center Ridge dinner is reported to be the oldest such dinner (though founded in 1929 as opposed to Lake Village’s 1909). It started when a Benedictine monk came up with the idea as a fundraiser. In its first year, a grand sum of $40 was raised from the sale of all those 25 cent dinners. 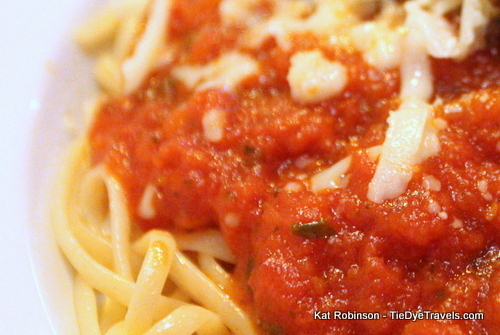 All the pasta and sauce is created by parishioners at home, according to their own recipes. More than that, all the sauce is dumped into the same pot, creating a truly unique concoction that can only be experienced at this event. If you’d like more information about Italian dinners at Arkansas Catholic churches, contact the Diocese of Little Rock at (501) 664-0340. In Lake Village, the church is named Our Lady of the Lake Catholic Church. St. MARY'S was the name of the parish school which is now closed.